Within the range of few miles, you will discover Renaissance villas, built by cardinals struggling for the power of the Church, that became the emblems of unbridled ambitions and richness. These magnificent gardens symbolize, thanks to the rythym and the simmetry, the harmony of the universe and the order of the cosmos. The water games of the fountains, real works of hydraulic engineering, mingle with evergreen trees and bushes arranged according to precise geometric orders with merely scenographic purposes. Avenues, cascades, pools, spectacular fountains were actually designed by the architects of the period to mesmerize visitors. The magnificent impact is given by paths, terraces, stairways, all metaphors of the pleasure of the country life, of the rationality that reigns all, of the fantasy and the grotesque which opposes. 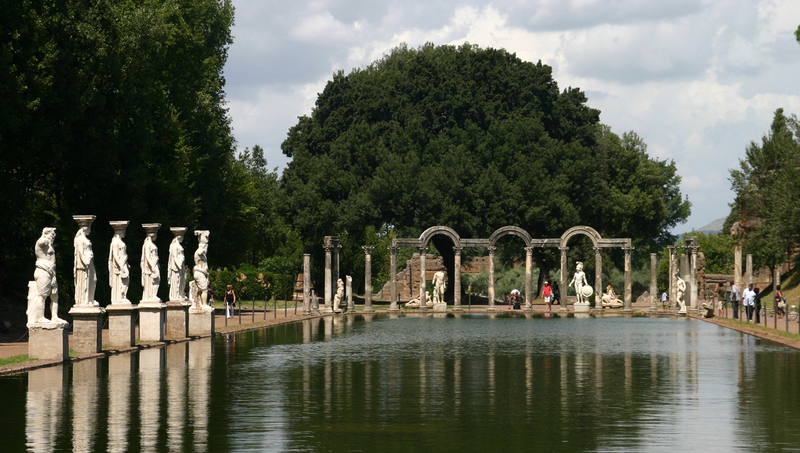 Villa Adriana, at Tivoli, deserves a special mention. 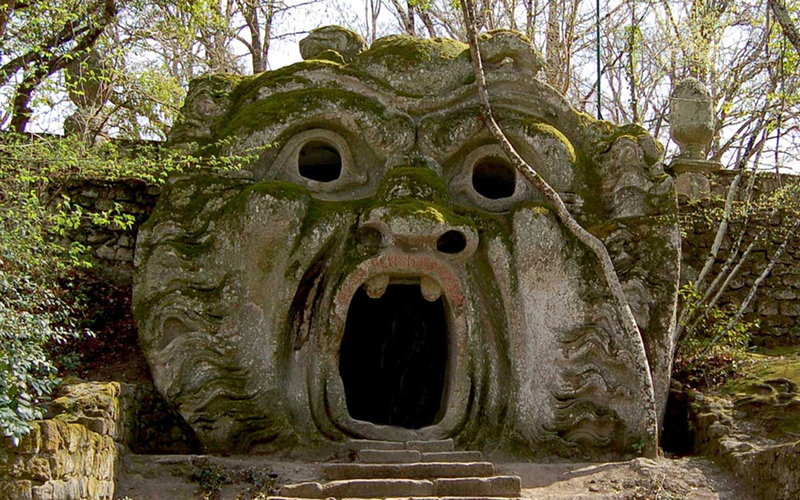 The Villa was built by Emperor Adrian with extraordinary magnificence between 121 and 137 a.D., to celebrate the magnitude and power of the Roman Empire. Buildings, theaters, baths, places of worship, , aqueducts, pools, temples, an academy, the rooms of the philosophers occupy an extension of more than 120 hectares and quite clearly represent not only Adrian’s innovative ideas of architecture, but also his complex and conflicting personality.